Japan has a very successful economy. In fact, Japan is the third most successful large economy. This partly happens because of Japan’s government. After World War II, Japan was devastated, and the U.S. was afraid that the government would turn into a communist state. So, the U.S. stepped in. They then rewrote Japan’s constitution. One of the people that wrote the constitution was Douglas McArthur. This is the reason that Japan’s constitution is similar to the constitution of the United States. 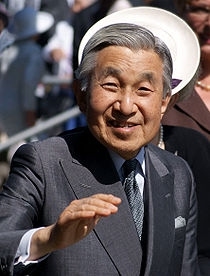 Japan has a constitutional monarchy, because they have had an emperor since 660 B.C. Today, Japan's Prime Minister is Naoto Kan and the emperor is Akihito. The country of Japan is a democracy so they have the freedom to criticize the government as much as they want. Japan also has a unitary government which means that there is one central authority. That doesn't mean that it is a dictatorship. It just means that the power is on a single level. Japan has a parliamentary democracy, so the citizens elect representatives who they want, to elect the Prime Minister. The Prime Minister is actually part of the legislative branch. Japan has a Bicameral Parliament called the Diet. It has 2 houses, the House of Councilors and the House of Representatives.